Platform Style Trailer Hitch Bike Racks Bicycle Carriers are some of the most convenient bicycle carriers available. With their low height clearance and wide spacing between trays, most bikes can be loaded and unloaded in seconds. Basic platform bicycle racks like the Thule 990xt Doubletrack hold bikes by both tires and frame, and are a great, inexpensive option for smaller vehicles. Other systems like the Yakima 8002443 HoldUp, hold the bikes exclusively by the tires - a "must-have" feature for carbon-fiber bikes or unconventional frames. If you need a trailer hitch, be sure to check out our complete line of Curt Trailer Hitches. 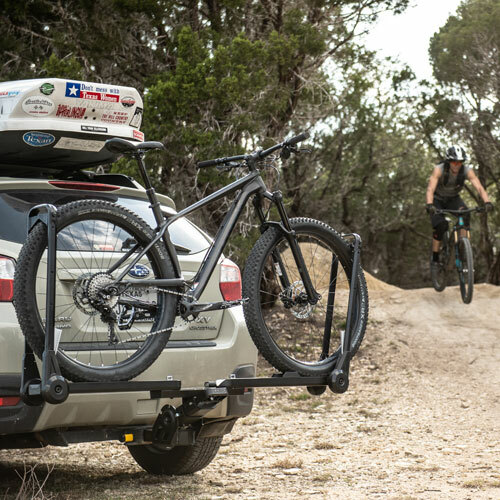 The Yakima Holdup Trailer Hitch Receiver Mounted Platform Style Bike Racks are designed to fit 2" and 1-1/4" trailer hitches and are one of the most convenient to use bicycle carriers available. With a convenient loading height and wide spacing between trays, bikes can be loaded and unloaded in seconds. Yakima Holdup platform style bicycle racks like the Yakima 8002443 HoldUp 2 Bike 2" Trailer Hitch Receiver Bicycle Racks Carriers and the Yakima 8002445 HoldUp 2 Bike 1-1/4" Trailer Hitch Receiver Bicycle Racks Carriers hold bikes by the front tire and are a convenient loading option for all vehicles. Looking for a trailer hitch? Be sure to check out our complete line of Curt Trailer Hitches. Saris platform style bike racks are some of the most convenient bicycle carriers available. With low height clearance and wide spacing between trays, most bikes can be loaded and unloaded in seconds. 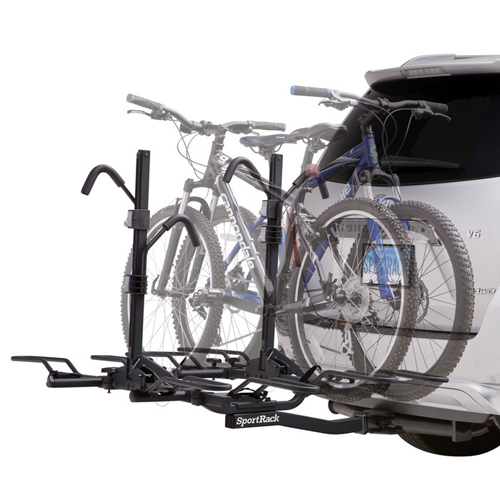 Saris platform bicycle racks like the Saris 4026f Freedom SuperClamp EX 4 Bike Trailer Hitch Mount Bicycle Racks hold bikes by the front and rear tires and are a convenient loading option for all vehicles. Looking for a trailer hitch? Be sure to check out our complete line of Curt Trailer Hitches. 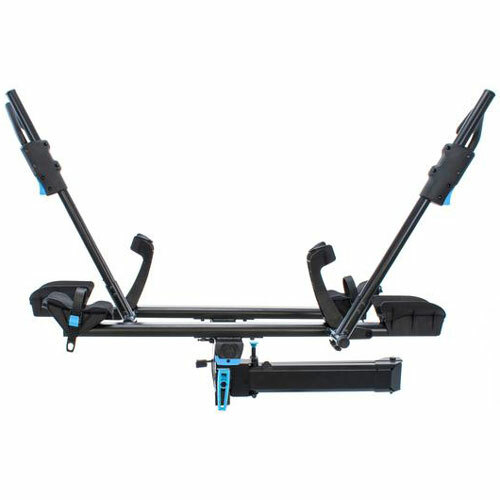 SportRack - Platform Style Trailer Hitch Receiver Bicycle Carriers and Bike Racks include many of the same quality features as expensive brand names at more affordable price points. SportRack Platform Style Bike Racks can carry up to 4 bicycles - depending on the model you choose. 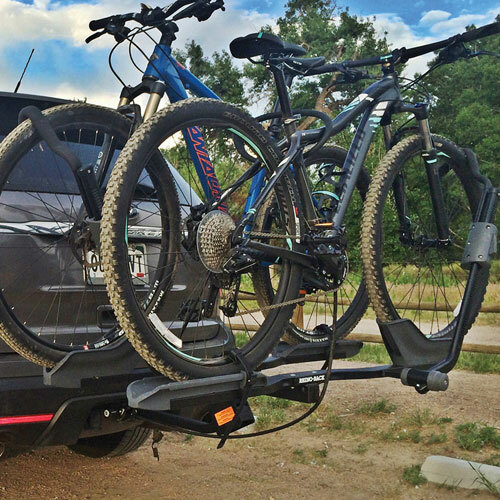 SportRack Platform Hitch Bicycle Carriers hold your bike by the wheels and frame for a rock solid hold. SportRack Crest Platform Style Racks are the most popular SportRack models. Some SportRack Bike Racks include locks and keys for locking your bikes to the rack and your rack to your vehicle. If you're operating on a tight budget, locking upgrades are always available later from RackWarehouse.com. Rhino-Rack platform style bike racks are some of the most convenient bicycle carriers available. With low height clearance and wide spacing between trays, most bikes can be loaded and unloaded in seconds. Rhino-Rack platform bicycle racks like the Rhino-Rack Dual Trekker Platform Style 2 Bike Hitch Carrier for 2" and 1.25" Receivers hold bikes by the front tire and are a convenient loading option for all vehicles. Looking for a trailer hitch? Be sure to check out our complete line of Curt Trailer Hitches. 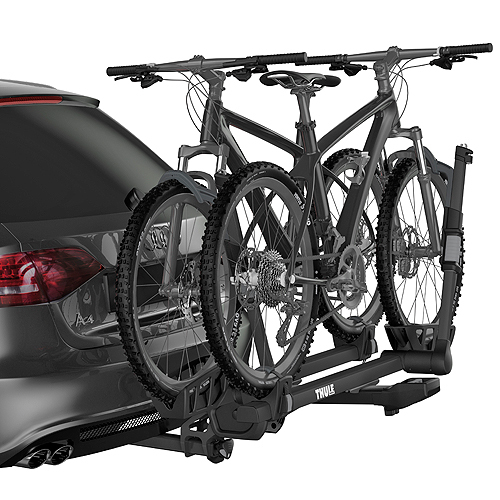 Thule offers a wide variety of trailer hitch mounted platform style bike racks designed to fit just about any bike or budget. With low height clearance and wide spacing between trays, most bikes can be loaded and unloaded in seconds. 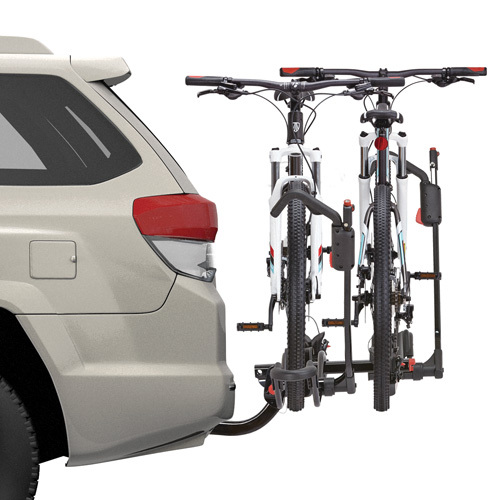 Thule platform bicycle racks like the Thule 9034xts T2 Pro, Thule 9044 T2 Classic and the Thule 9003pro Raceway hold bikes by the front tire and are a convenient loading option for all vehicles. Looking for a trailer hitch? Be sure to check out our complete line of Curt Trailer Hitches.